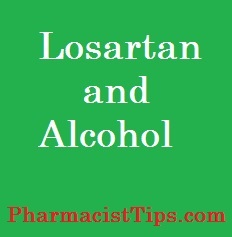 Is it ok to drink alcohol with losartan? Does alcohol have any effect on losartan? Losartan is a type of blood pressure medication known as an angiotensin-receptor blocker(ARB). ARBs basically block a receptor in the body that causes blood vessels to constrict. Blocking it allows the blood vessels to relax and that results in lower blood pressure. It can also have effects on certain electrolytes (like sodium and potassium). It is sold in the US under the brand name Cozaar. Alcohol’s effects on blood pressure can vary. Small amounts may drop blood pressure and large amounts may increase blood pressure. This is no specific interaction with alcohol and losartan, however one should be careful the combination doesn’t lower their blood pressure too much. Most people will not notice any difference when having a few drinks with their blood pressure medication, but always try to be aware. 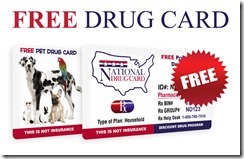 Contact your doctor or pharmacist if you are unsure what is safe to use with your medication. I hope you found this information useful. Please contact me with any pharmacy questions. I will do my best to help you understand.